For your Friday drinking pleasure, I submit to you Bridgeport's Highland Ambush. This 6.8% Scotch Ale was aged in Maker's Mark Bourbon barrels, adding oak and vanilla to an already complex flavor. I found this at the Kelly Liquors on Wyoming for $6.99 per 22 oz. bottle. No plans for the evening? 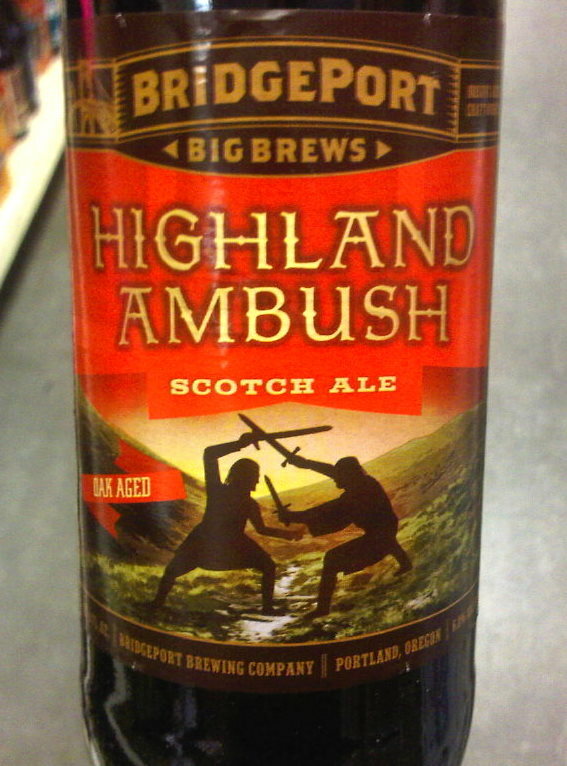 Rent Highlander, sip some Highland Ambush, and enjoy Queen's best soundtrack performance. Yes, I'm ranking it higher than their Flash Gordon soundtrack. Enjoy your weekend! Ohhh No. You're Not Done Drinking Yet!